'Build a Batcave and get over it' If your father, mother, partner or other has ever said this to you or something vaguely simillar, you probably just laughed them off and carried on your merry way. 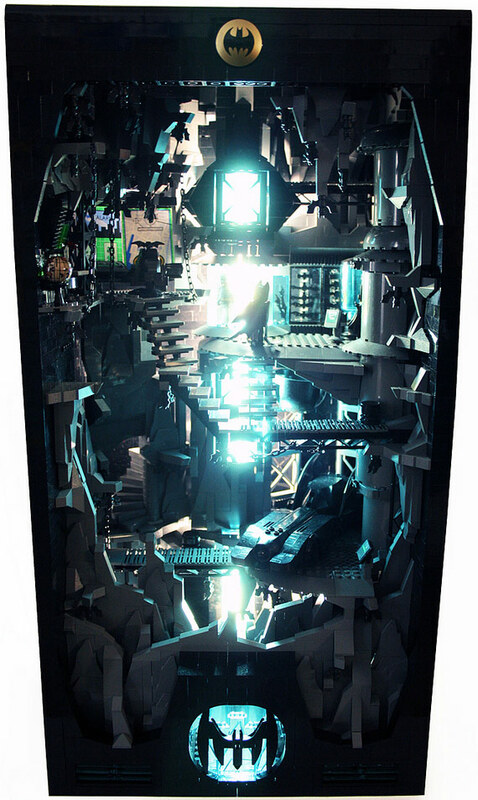 Not so flickr user Orion Pax - using evey kids first 3d creation tools, he's created a massive Lego Batcave that will drive you Scarecrow level crazy with it's truckload of cool. Just look at the detail above for instance. 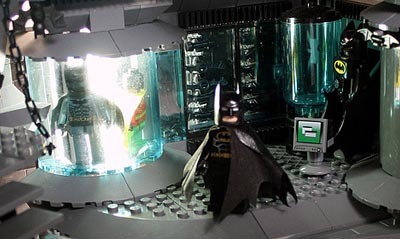 Not only does the Dark Knight have a Robin outfit in his light up wardrobe, he has a vending machine too! Proving even the world's greatest detective needs a Coke and a handful of M&M's to beat The Riddler's puzzles. Says Orion of the 68 brick high week long project; "Always felt like doing something with all the collected Batman stuff. So I did. Approximately 8000 - 9000 parts been terminated to build the cave". Jeepers - if anyone ever 'accidentally knocked this over' I'd disown them for life. Freak'n-cool. For more close up pic's and to give props, visit Orion's flickr page, right after the jump. My kids would have that trashed in 10 minutes flat. I'd be surprised if Lego didn't buy the design off him. I'd like to think I could build this - but I never made what was on the box when I got my lego - which used to irritate my Mum no end as she always wanted to make sure every part she paid for was in the box. I'd start building Wayne Manor - don't get me wrong, but I'd probably end up been the SHEILD helicarrier!